BOSTON, Mass. /Massachusetts Newswire/ — Today, in a bipartisan effort to promote the sale and use of zero emission vehicles (ZEVs) in the Commonwealth, Mass. 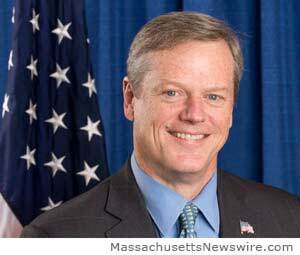 Governor Charlie Baker signed Senate Bill 2505, An Act Promoting Zero Emission Vehicle Adoption. The legislation works to increase access to ZEV charging stations for the general public by prohibiting owners of public charging stations from charging users a subscription or membership fee and requiring the use of payment options available to the general public. Further, the legislation allows municipalities and private businesses to restrict parking spaces specifically for ZEV use, and builds upon the Baker-Polito Administration’s ongoing commitment to adopting emerging clean energy technologies as the Commonwealth continues to add renewable energy generation into the Massachusetts’ diverse energy portfolio. In 2016 the Baker-Polito Administration committed $14 million to the Commonwealth’s electric vehicle rebate program, Massachusetts Offers Rebates for Electric Vehicles (MOR-EV), more than doubling the historic funding of the MOR-EV program. Massachusetts automotive consumers can qualify for rebates ranging from $750-$2,500 on the purchase or lease of more than 25 qualifying new electric vehicles, including battery electric, plug-in hybrid electric and fuel cell electric vehicles. Since June 2014, the MOR-EV program has issued or reserved over $7 million for 3,355 vehicles, cutting the state’s greenhouse gas emissions output by an estimated 9,255 short tons annually. The legislation tasks DOER and the Massachusetts Department of Transportation (MassDOT) to study state fleet electrification opportunities and file a report with the Legislature by October 1, 2017 and for MassDOT and EEA to study the feasibility of levying surcharges on ZEVs to offset gas tax revenue losses by December 1, 2017. Senate Bill 2505 authorizes the Board of Building Regulations and Standards (BBRS) to work with the Department of Energy Resources (DOER) to promulgate regulations around ZEV charging stations for residential and commercial buildings. It also allows electric distribution companies to submit proposals to the Department of Public Utilities for approval of cost recovery to construct, own, and operate publicly available electric vehicle charging infrastructure while tasking DOER with adopting interoperability billing standards for charging stations (effective January 1, 2018). In December, state energy officials announced that Massachusetts, along with Connecticut, Rhode Island, and Vermont, will share a portion of a $500,000 federal Department of Energy grant to assist in further collaboration between the Commonwealth and Plug In America to accelerate the deployment of ZEVs through the Mass Drive Clean initiative. Begun in 2015, Mass Drive Clean is a highly successful pilot program that has resulted in over 1,000 drivers and passengers test driving one or more electric vehicles at employer sponsored and public events to date. The drives are a way for interested drivers to get behind the wheel of multiple makes and models of these clean vehicles. Each driver is surveyed before and after driving, with 83% saying that their overall opinion of a ZEV is better than before their test drive and 68% said that were more likely to purchase one now that they had experienced the performance of the cars. Plug In America has shown in California that about 10% of ride and drive participants will purchase a ZEV within six months.